It's been a while since I played with Fusion, but I couldn't resist this week's colourful inspiration photo, especially since my new Distress Oxide Inks are now in the house! I started with a white panel and masked uneven strips and blended Distress Oxide inks, making sure to overlap, to represent the 'not-quite-straight' signs. I spritzed the panel with water. I die cut and inlaid the sentiment and then popped the panel up on a card base stamped with tone-on-tone stripes. Super card! Love how straight your inlaid is aren't those inks fun?! Such a clever take on the challenge Ardyth - it's similar and yet so different! Looks like you're putting those oxides to good use. Thanks for playing along at Fusion! 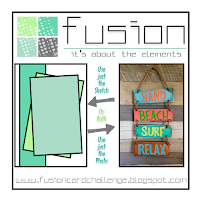 Smart and fabulous take on the inspiration! Those colors of the oxide inks are fantastic. 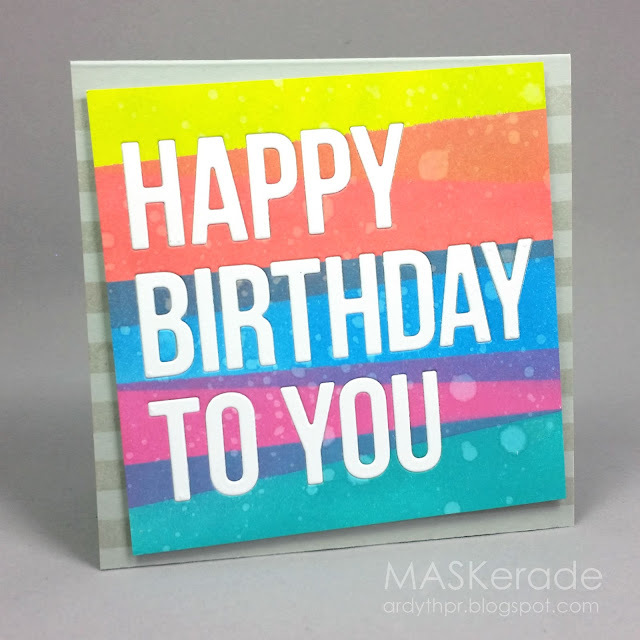 This is such a bright and cheerful card and a wonderful take on the inspiration photo! Thanks so much for joining us at Fusion. Super cool card, love the big letters. 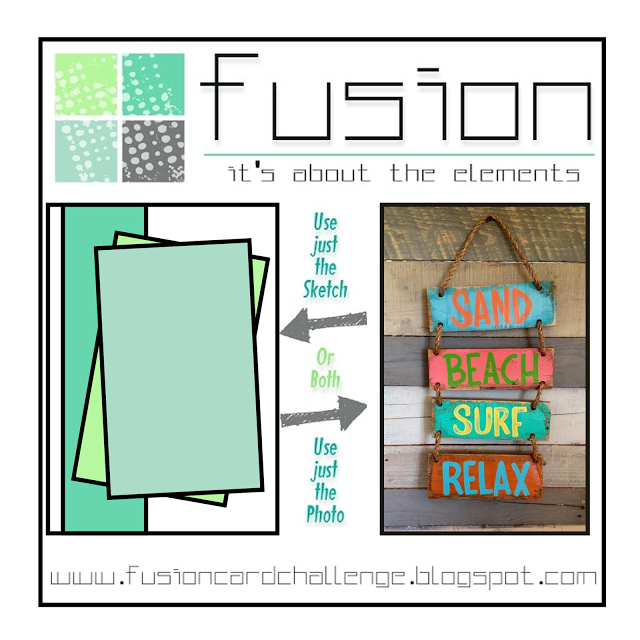 Thank you for playing with us at the FUSION card challenge and hope to see you again.